The latest RED C Consumer Mood Monitor shows a further improvement of consumer outlook for the economy. 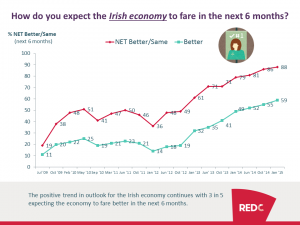 3 in 5 (59%) now believe the Irish economy will fare better in the next 6 months – this is up from 55% in October 2014 and 49% a year ago. For the first time, we see small signs of this recovery impacting consumers on a personal level. 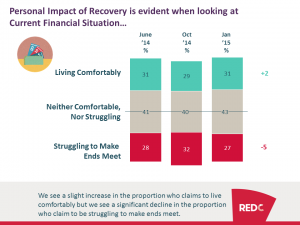 3 in 5 (57%) of those who believe the recovery is underway feel that this recovery is benefitting them personally. Furthermore, we see a decline in the proportion of consumers who say they struggle financially to make ends meet – from 32% in October 2014 to 27% now. But this improvement in consumer confidence has yet to translate to increased consumer spend with most holding back on spend until further signs of economy recovery are evident. 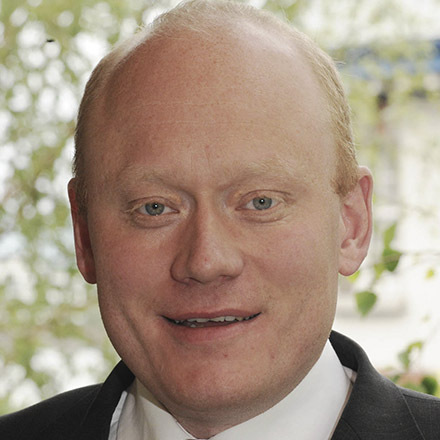 This demonstrates a somehow changed consumer mentality as result of the economic crisis.